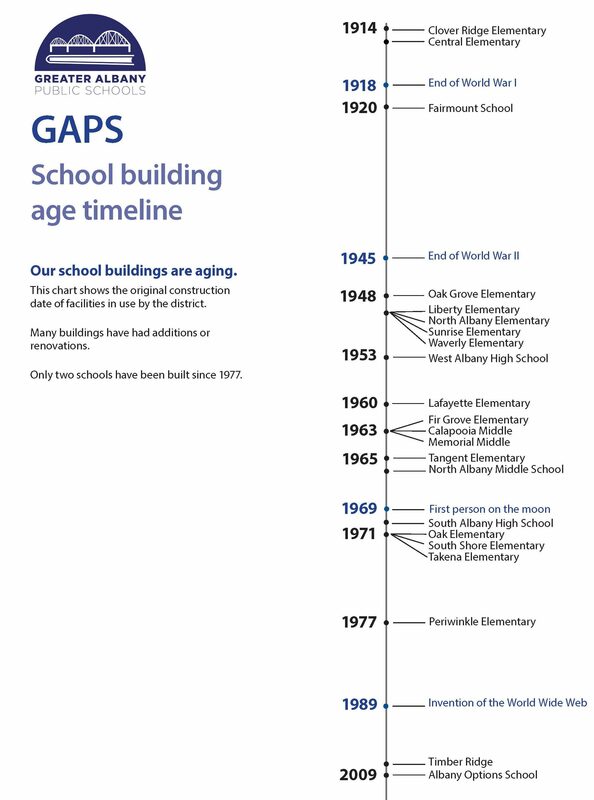 GAPS has many aging schools in need of repair and improvements to ensure student safety and an adequate learning environment. In addition, many schools are at or over student enrollment capacity. The current student population is at its highest point and projections are for continued growth. The board is considering many projects, including construction of one or more elementary schools. The last elementary school the district built was Periwinkle, constructed in 1977 – almost 40 years ago. GAPS is growing. Enrollment is projected to increase by 500 students in the next five years. Current schools are full, and many classrooms are overcrowded. There is a critical need for classroom space at West Albany High School and elementary schools in north and east Albany. 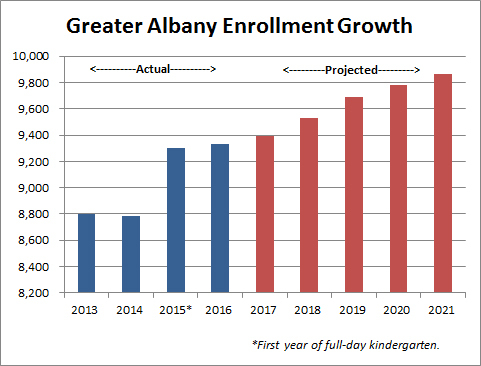 *Enrollment grew sharply in 2015 when all-day kindergarten was added. Previously, students in half-day programs were counted at a .5 level for student enrollment purposes. Our buildings are aging. Only two schools – Timber Ridge and Albany Options – have been built since the invention of the internet. Most buildings were constructed quickly to keep up with growth after World War II. 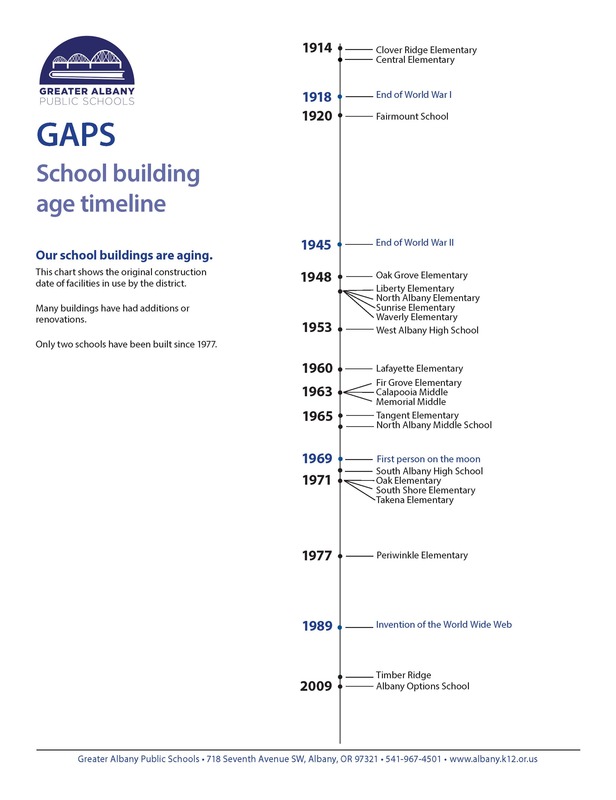 Seventeen schools were built between 1948 and 1977. Those buildings need critical improvements to protect the investment in the facilities and to upgrade the learning environment to meet today’s educational standards. Both high schools lack adequate educational space for today’s modern educational requirements. 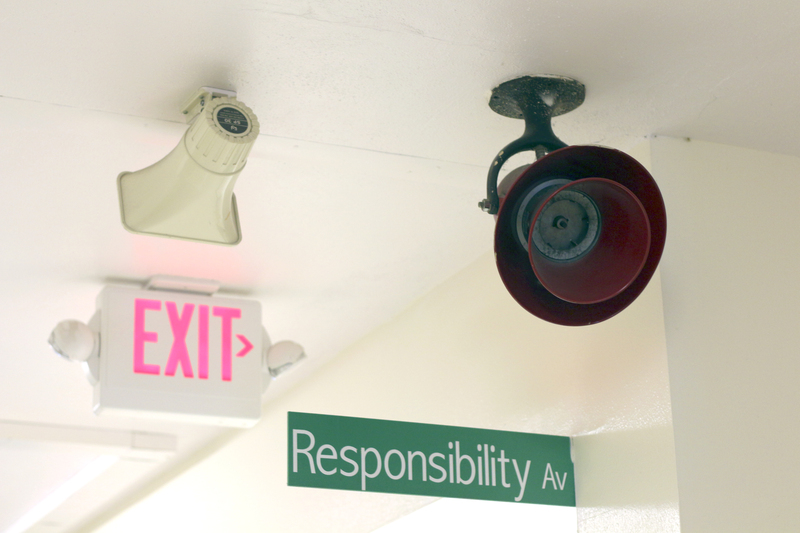 Many classrooms are overcrowded, and the facilities are aging. 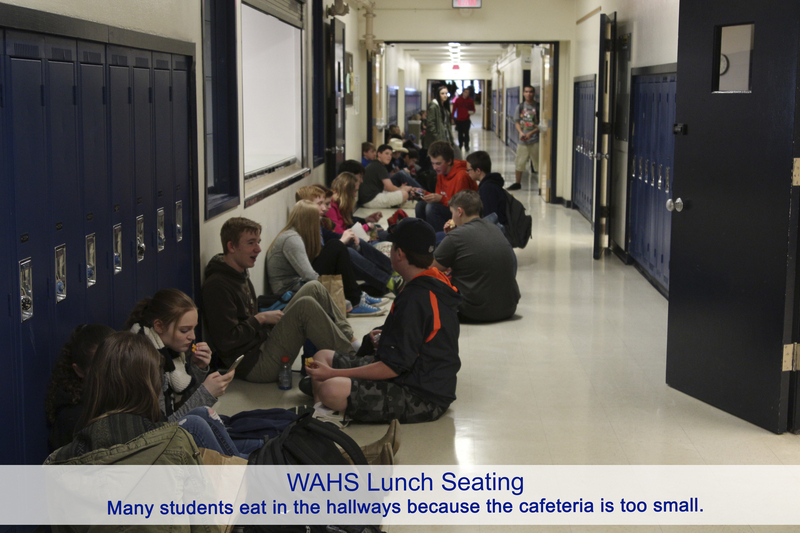 West Albany High School is 63 years old and has had 10 major renovations or additions, making it inefficient. New vocational technical classrooms for classes such as small engine repair, construction, welding and auto shop. Gymnasium at South Albany High School for additional competition space and PE classes. Replacing West Albany High School: West Albany High School is too small for the current enrollment and projected growth. It is poorly designed for today’s education and has had 10 major additions or renovations since it was built. Due to costs, the School Board is considering a replacement plan that would rebuild the school in two or three phases. The design for the whole school would be completed before starting work on phase one. Future bond measures would fund the remaining phases. 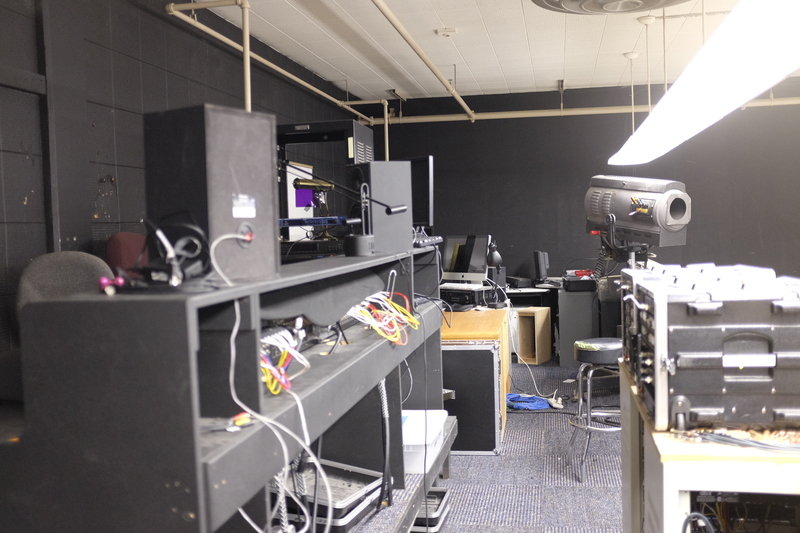 Auditoriums: Neither school has an auditorium for performing arts or theater technical classrooms, such as audio soundboards, lighting and set construction. GAPS is the only large district in the state without high school auditoriums. Auditoriums would provide performing arts space for the District’s award-winning music and theater programs, community meeting space, training facilities for career- and college-readiness. Career-related programs include sound design, audio engineering and recording, light design and entertainment electrical work, construction and fabrication and event management. There are currently 5,200 students in the Districts music and theater programs. 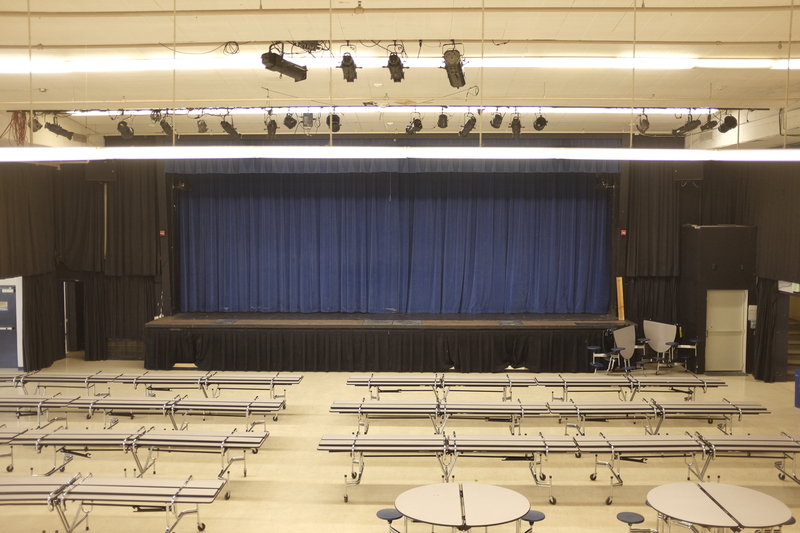 Performing arts programs produce about 180 events per year in the District. 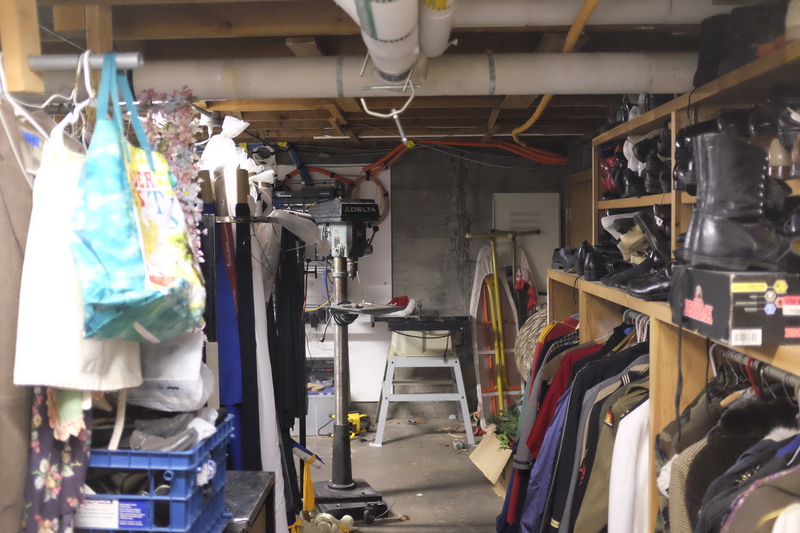 Possible features include seating, large stages, technical control booths, orchestra pits, scene shops, dressing rooms, costume and prop storage, lobbies.